1375 Commonwealth & Charles II silver (5) Halfgroat S.3221 buckled & S.3318, Threepence S.3325, milled Groat S.3383 and milled Shilling 1663 S.3371. F or better (5). 734 Hammered (5). 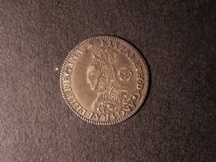 Includes Mary groat, Elizabeth I Threepence 1569 mint mark coronet, James I sixpence 1605 mint mark rose, Charles I shilling Aberystwyth bust mint mark anchor and Charles I Halfcrown mint mark triangle in circle. All about fine. 1875 Hammered (23) mixed lot. Henry II - James I. Includes Elizabeth I Threepence, Edward III Groat, York mint, Edward III Penny. Fair to about very fine. 1839 Elizabeth I Threepence (2) 1567 mint mark coronet, 1578 mint mark Greek Cross. S.2573. Both very fine. 1938 Threepence Elizabeth I milled 1562, mint mark star, tall narrow decorated bust. S.2603. Scarce. Very fine, a few small dents in field. 1838 Elizabeth I Threepence (2) 1566, mint mark lion, 1561, mint mark pheon. Good fine to near very fine. 113 Charles I Threepence Aberystwyth mint, mint mark book, small bust, plume before. S.2894. Fine/good fine. 1420 Threepence Charles I Aberystwyth mint, mintmark book. S. 2894, large flan VF.